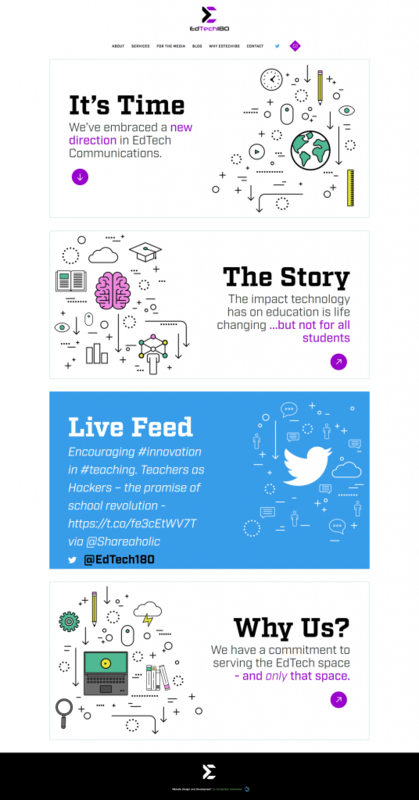 Embrace a new direction in EdTEch Communications. EdTech focuses on the marriage of technology with education in the 21st century with the goal of paving a new learning direction for future generations. EdTech recognizes that education has a come to a major turning point and will need to make large strides in order to stay with the times, and teach learning outside the traditional classroom in order to promote learning for life. 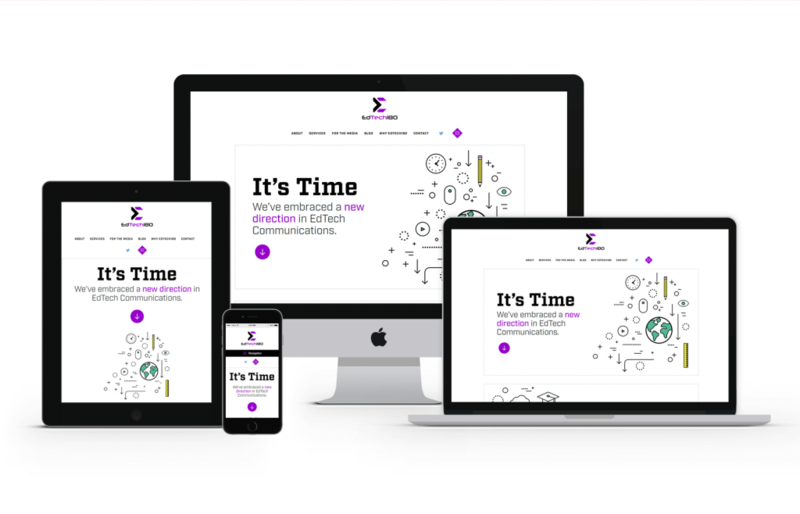 GoingClear Interactive was able to help EdTech with the creation of their new website by first learning about the client and their specific needs ourselves. 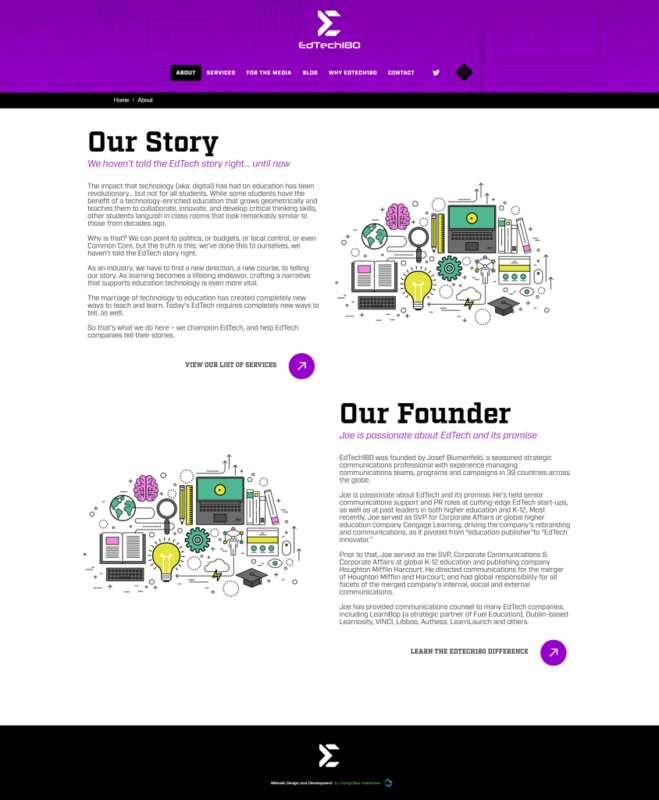 After working closely with the client, we understood that a fresh new website was the top priority because we needed to make sure we had the attention of viewers. After crafting a custom design for EdTech, GoingClear Interactive added additional development features such as a sticky header and breadcrumbs to assist users with supporting navigation. 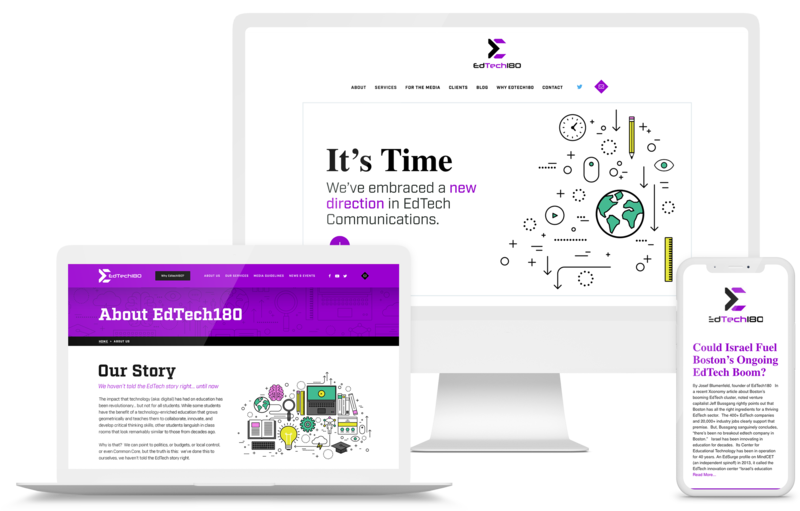 The new EdTech180 website was built using WordPress content management system and Twitter Bootstrap, which means it is Fully Responsive and mobile and tablet friendly so visitors are guaranteed to have a flawless experience on any device.